Savannah GA always has an abundance of community events to enjoy year round. There are multiple ways to enjoy art, history, music of all types, spectator sports, running events in which to participate, events for the whole family, and lots of entertainment venues. Here are just a few of the things you will want to see in April this year. Early Bird’s Preservation Walking Tour of the Landmark Historic District’s East Side. April 6-27, 7:30 am on Saturday mornings in April. 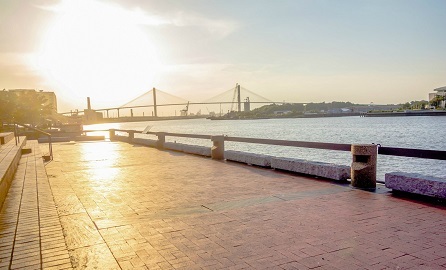 Walk through some of the oldest and most varied neighborhoods to learn how historic preservation has revitalized downtown Savannah. Civil War Experience Dinner Cruise and Fort Tour. April 11. 6-10 pm. Old Fort Jackson and River Street Riverboat Company partner to commemorate Savannah’s 150 year Civil War Anniversary. NOGS Tour of Hidden Gardens. April 19-20th. 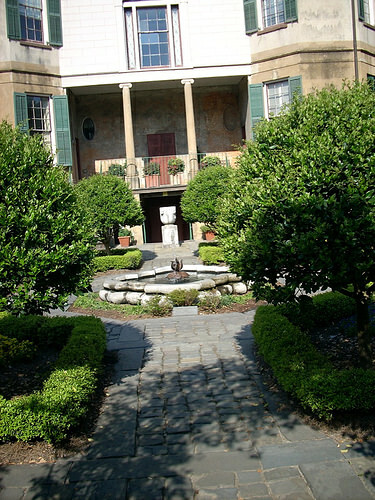 Enjoy a walking tour of the private gardens of Savannah. Deen Family Book Signing! Join Paul, Jamie, and Bobby on April 8 from 10 am till noon at Uncle Bubba’s Seafood and Oyster House Restaurant. Only 350 tickets will be sold to this event. Professional photographers will be available. Savannah Philharmonic. On April 13, at 7:30pm, enjoy a classical Symphony featuring the music of Prokofier, Haydn,and Medelssohn. Savannah Music Festival continues April 1-6. This event showcases a wide range of music genres and styles. There is something for everyone! Jukebox Journey– Held at the historic Savannah Theatre (dating from c1818), this popular show features two hours of your favorite jukebox hits along with plenty of comedy and audience participation. Komen Race for the Cure. On April 13, 8:15 am at Telfair Square. Red Shoes Run– April 6, 2013, Saturday at 9:00 am. This 5 K run is for experienced as well as new runners. The Red Shoes Run is affectionately called the “mini- Bridge Run” as many people use this as part of their training for later events. Includes a kiddie race, face painting, games, live music, refreshments and Ronald McDonald House tours. Special appearance by Ronald McDonald. Fine Arts on the River. April 19 and 21. Savannah Urban Arts Festival April 27, 11am -5pm. This is an eight day series of live performances, workshops, forums and film screenings that showcase and celebrate the diverse styles of music, art, writing, and self expression that have developed in urban culture. PCA Championship Liberty Mutual Insurance Legacy of Golf. April 22-28, 12:30-3 daily. Savannah Sand Gnats— Baseball season starts April 4! Order your tickets online. 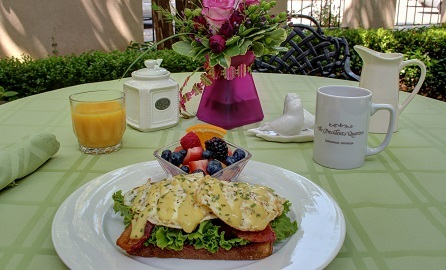 So, as you purchase tickets and make plans for the things you want to see and do in Savannah, don’t forget to make your reservations at the Bed and Breakfast voted best of Savannah (2008-2012)! 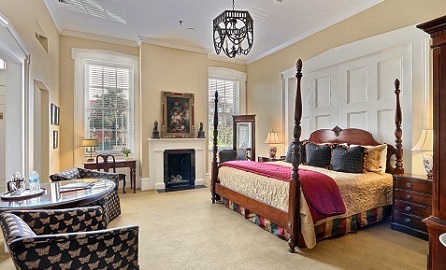 President’s Quarters Inn is ready to give you a great place to stay while you enjoy all that Savannah has to offer! This special inn is a destination in itself. Click here today to reserve your room!